Well, the little iPhone Kindle app has convinced me that a Kindle2 might not be a total waste of money. I'm actually enjoying read both academic and non-academic books on the iPhone. Although the Kindle2 doesn't have a backlight, it looks like it'd be a good way to read before bed or on the airplane. I'd love to hear from anyone who has one. 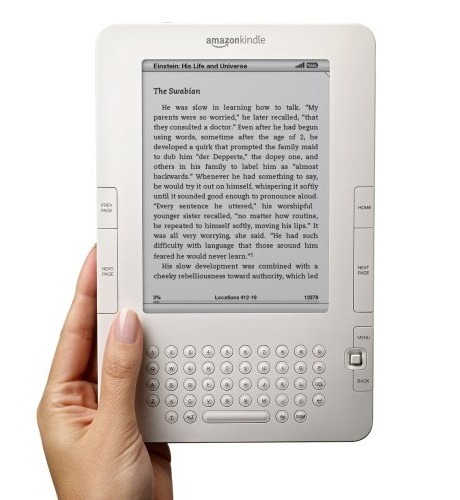 Continue reading Buying a Kindle. This page is a archive of entries in the Meta - Info about this blog category from March 2009. Meta - Info about this blog: February 2009 is the previous archive. Meta - Info about this blog: June 2009 is the next archive.